The first hermits arrived in hopes of finding seclusion and spiritual peace. Centuries later, Meteora is now swarmed by tourists, gawking at the beauty of the surrounding landscape and splendor of its monastic tradition. But even amid the the busyness within and around the monasteries, it is apparent why, of all places, it is here that the first occupants chose to dwell. It takes little imagination to see that Meteora, at least back in the day, was as serene as slumber and as solemn as a prayer. It’s not difficult at all to be captivated by Meteora. 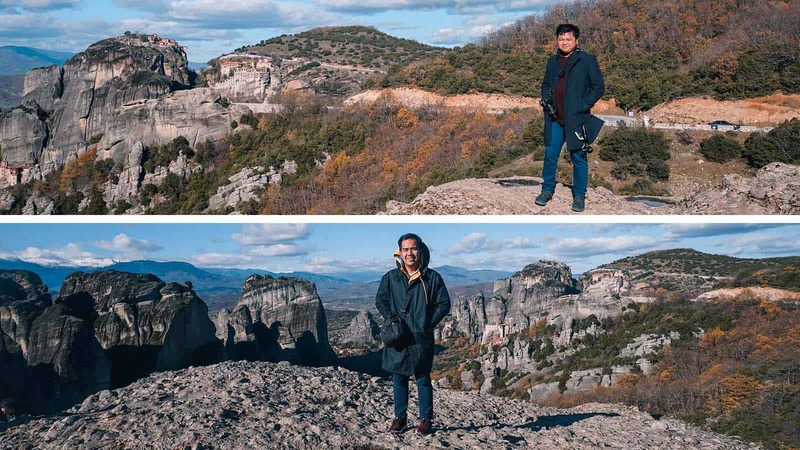 I had my first glimpse of it through a viral Facebook video that features the monasteries perched atop lofty rocky pillars. At that moment, I knew I had to set foot in it and see it for myself. There’s this old saying immortalized in memes: If you want something badly enough, the universe will make conspire to make it happen. I’m not one to rely on the wisdom from memes, but it turned out to be true in this case. I didn’t think I’d be able to visit Meteora this soon, but a series of fortunate events led me to this. Should I explore Meteora on my own or should I join a guided tour? What to wear inside the monasteries? Is there a dress code? Are there restaurants near the monasteries? 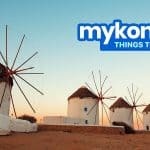 What is tipping policy in Kalambaka? 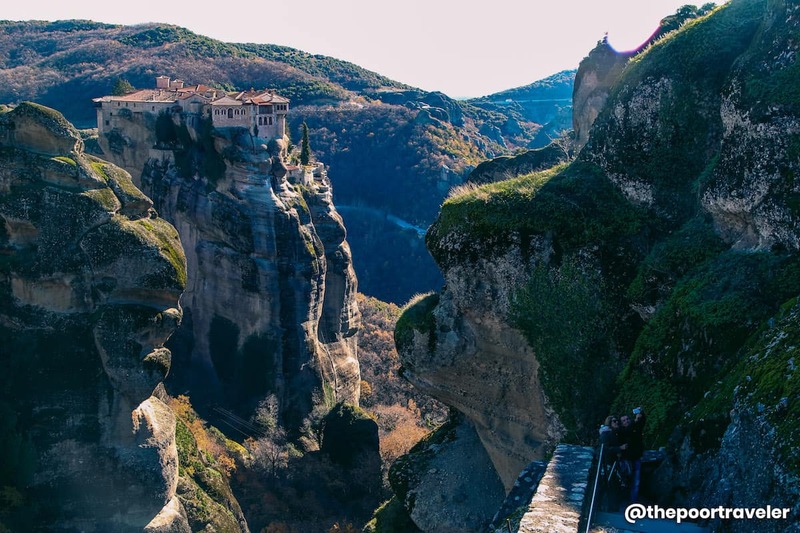 The name “meteora” means “high up in the air,” referring to the towering pillars that make up this rock formation, overlooking the plains of Thessaly in Greece. Since the first hermits took shelter in its caves, these sandstone columns have seen 24 Eastern Orthodox monasteries, making it one of the faith’s most important sites, second only to Mt. Athos. Because the monasteries were built on the summit of these rocks, they offer complete isolation. For most of its history, the only way to reach them were by long ladders, ropes, and nets. Today, only six of these monasteries remain standing. 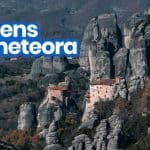 Inscribed in the UNESCO World Heritage List, Meteora has been drawing tourists from all around the world for its historical, cultural, and geological significance as well as breathtaking scenery. Here’s more info about Meteora. Language: Greek. However, English is widely spoken. Modes of Payment: Cash is still the most common. Electricity Info: 230 V, 50 Hz. Power sockets are Type F, which also accept Type C plugs. April to June and November, when the weather is comfortable and the crowd isn’t that big. 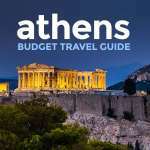 July to October is high season, so rates in Greece in general are higher and the site is overrun by tourists. 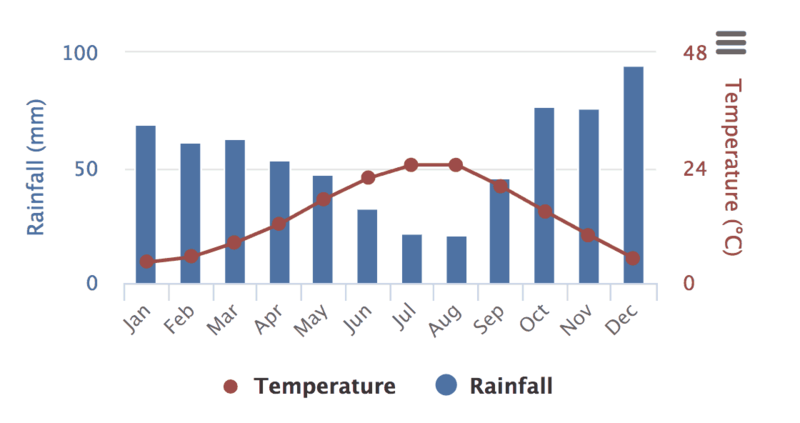 July and August are the driest and the hottest months. December to March is winter. It’s not just the coldest, it’s also the wettest period. It doesn’t mean though that it rains every day. We visited in December, but it didn’t rain at all, not even a slight drizzle. Maybe we just got lucky. One important thing to note when traveling in winter is that there is no public bus service to Meteora from Kalambaka or Kastraki, which limits your transportation options significantly. There are two towns lying at the foot of the Meteora cliffs: Kalambaka and Kastraki. 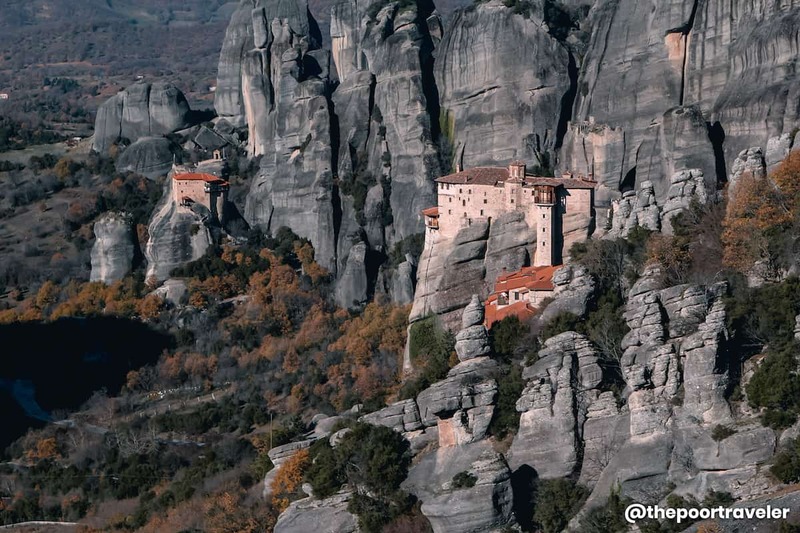 To get to Meteora, you need to find your way to any of these. Most independent travelers and backpackers prefer to stay in Kalambaka, which offers more lodging, dining, and tour options than Kastraki. In Greek, the official name of the town is Kalabaka, but it is also often called Kalambaka or Kalampaka. Don’t be confused. They all refer to the same town. Here are some of the top-rated hotels in Kalambaka and Trikala, as scored by Agoda users. Epavlis Meteora Suites Hotel, Kalampaka, Greece. Check Rates & Availability. Hotel Galaxy, Kalampaka, Greece. Check Rates & Availability. Chrysorama Rooms, Kalampaka, Greece. Check Rates & Availability. Meteora Hotel at Kastraki, Kalampaka, Greece. Check Rates & Availability. Hotel Panellinion, Trikala, Greece. Check Rates & Availability. 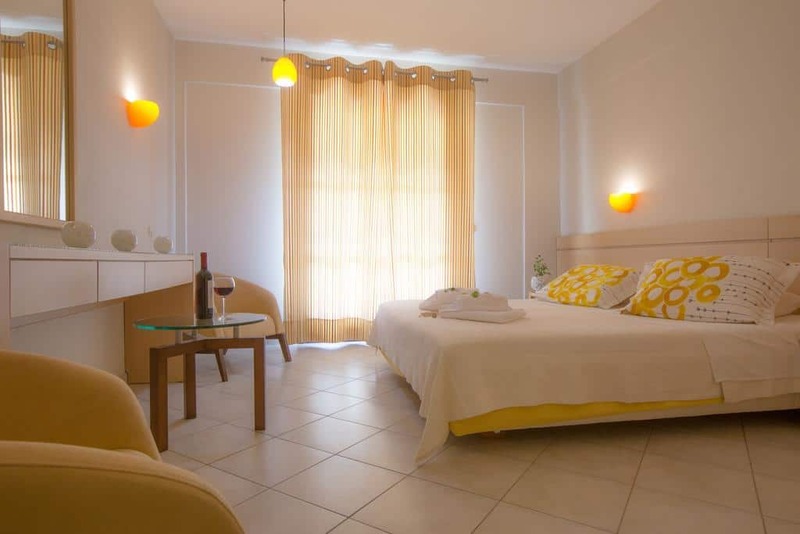 Hotel Lithaion, Trikala, Greece Check Rates & Availability. The nearest airport is Nea Aghialos National Airport (aka Volos Central Greece Airport or Volos Nea Anchialos Airport), located in Central Greece, south of Thessaly. All flights from the Philippines will have a layover in Singapore. You can take this opportunity to also tour SG while you’re at it. 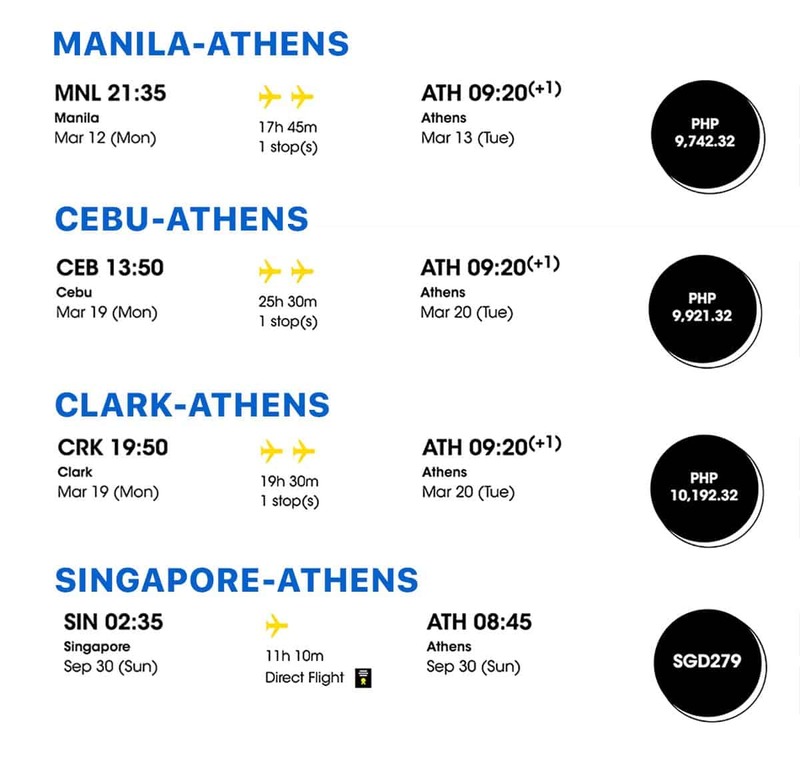 From SG, the travel time to Athens is 11 hours and 10 minutes. Scoot uses a new Boeing 787 Dreamliner, so you can expect the cabin to be spanking clean and well-maintained. 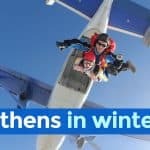 If you want to score ATHENS PROMO FARES, keep a lookout for Scoot’s monthly Take-off Tuesday promotions, which happens every first Tuesday-Thursday of every month, available on their official website! It’s easy to reach Meteora by train. Kalambaka has its own train station and is connected to Larissa Train Station, which is the central railway station in Athens. Take the Metro Red Line to Larissa Station. If you’re coming from Syntagma, it should be easy because Syntagma is also along Red Line, just four stations away. Fare: €1.40. If you’re coming from Athens Airport, you must first take the Blue Line to Syntagma Station and then transfer to Red Line to Larissa Station. Fare: €10. At Larissa Station, board the train to Kalambaka. There is only one direct train per day, scheduled to leave Athens at 08:20am and arrive in Kalambaka at 01:18pm. Fare: €18.3 – €25.6. If that’s not an option for you, you may travel to Paleofarsalos first then switch to another train bound for Kalampaka. See the schedule below. Alight at Kalambaka Station. This is the last stop. From Kalambaka Station, take the bus to Meteora. 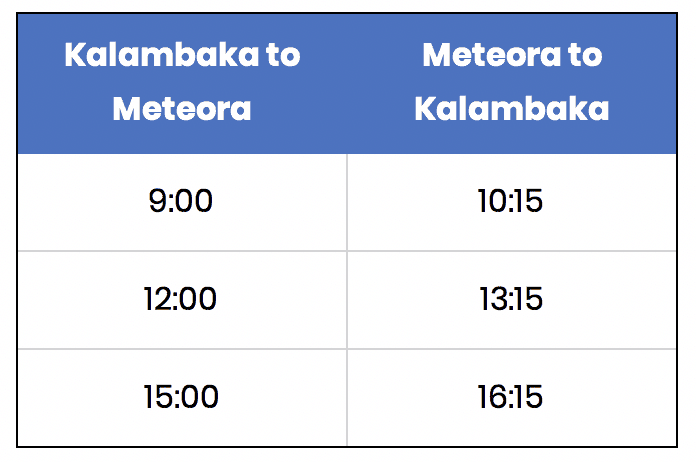 From March to November, there’s a bus leaving Kalambaka at 9am, 12 noon, and 3pm. Fare: €1.80 one-way, €3.30 round trip. No public buses in winter. You can either take a cab instead or just hike, which is great and very scenic. For the train timetable, visit: Athens-Kalambaka Train Schedule. There are no buses that go directly to Meteora or Kalambaka. Instead you will have to travel by bus to Trikala, the city closest to Meteora, and then transfer to another bus to Kalambaka. Make your way to LIOSION 260 BUS STATION. This is the terminal where buses bound for Trikala are stationed. It’s at 260 LIOSION STREET. – If you’re coming from other parts of the city center, you may take the metro. The nearest Metro Station is Kato Patisssia Station, which is 900 meters away. If you take the metro, make sure you have enough time allowance for walking. You can also just take a cab. – If you’re coming from the airport, board City Bus X-93 and alight at Liosion Street Bus Station. Travel time: 55 minutes. Take the bus bound for Trikala or Kalambaka. A bus leaves at 7:00am, 10:30am, 1:30pm, 3:30pm, 6pm, and 9pm daily. An extra 5pm trip is added every Friday and Sunday. Travel time: 5 hours. In Trikala, transfer to another bus bound for Kalambaka. There’s one every hour. Travel time: 30 minutes to 1 hour. Total fare from Athens to Kalambaka is €31.50. Six ancient monasteries remain standing to this day, and they’re all open to visitors. From Kalambaka, you can take the bus to the monasteries. The bus will stop in all six monasteries. Here’s the bus schedule for March 16 to November 30, 2018. This may change in the coming years so make sure to call your hotel to confirm the schedule. No bus service in winter. Fare: €1.80 one-way, €3.30 round trip. As you can see, there are only a few buses per day, so you won’t be able to see all the monasteries if you’re relying on the bus. What most tourists do is they take the bus going up and then they just explore the place on foot, then they take the last bus back to Kalambaka. Ideally, you should be able to visit 2-3 monasteries in a day. Although it is possible to see more than 3 in a day, the pace may be too fast or stressful. Note that these monasteries are not open all week. Each has its own closing day. We indicated the operating days and hours for summer 2018 and winter 2019 below. However, please note that these change every year and every season so double check with official sources before your trip. All monasteries above charge a €3 entrance fee. Kids 12 and below can enter for free. These monasteries offer not just stunning views. They also house important historical artifacts. For example, the Great Meteoron Monastery also showcases the role of the Orthodox Church in key events in Greek history including World War II. St. Nikolaos Anapafsas Monastery displays frescoes created by Theophanes in 1527. The Great Meteoron Monastery and the Varlaam Monastery are the biggest and the two most popular. St. Stephen’s Monastery and Roussanou Monastery are the easiest to access. 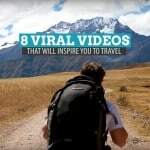 You can do it on your own, but because of the site’s immense historical importance, joining a guided tour will make your trip not just enjoyable but also enlightening. Half-day tours usually cost €25 to €35. The Great Saint Rock is one of the most iconic in Meteora. If you’re up for an adventure and you’re in great shape, this is right up your alley. This is a guided tour that will lead you to the tallest rock in the area, around 400 meters above the ground. There will be some climbing, abseiling, traversing, and lots of hiking, so be prepared physically and mentally. You MUST have a guide to be able to do this because it’s a bit dangerous. Tours start at €60. Built in 7th century AD, this is one of the oldest churches in Greece. This Byzantine church is often overlooked by tourists even though it’s centuries older than the monasteries perched on the Meteora rocks. 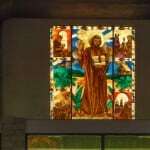 It has three aisles and features frescoes that can be traced back to as far as 14th century. Don’t miss the relics of an older Green temple can also be found inside. If you’re staying in Kalambaka, you can easily make your way to this church. Kastraki is one of the two villages at the foot of Meteora. Although Kalambaka harbors more hotels, restaurants, and tour agencies, Kastraki is quieter and more picturesque. Even if you’re staying in Kalambaka, Kastraki is worth a stop too. The village lies in between two colossal rocks, ensuring an unforgettable view from the base. The 19th-century houses along its streets are well-preserved, too! Here’s a sample overnight Meteora itinerary. It assumes you’re arriving in Kalambaka before 2pm. We’ve indicated the entrance fees if you want to explore on your own as well as the usual tour rates if you want to join a guided tour. 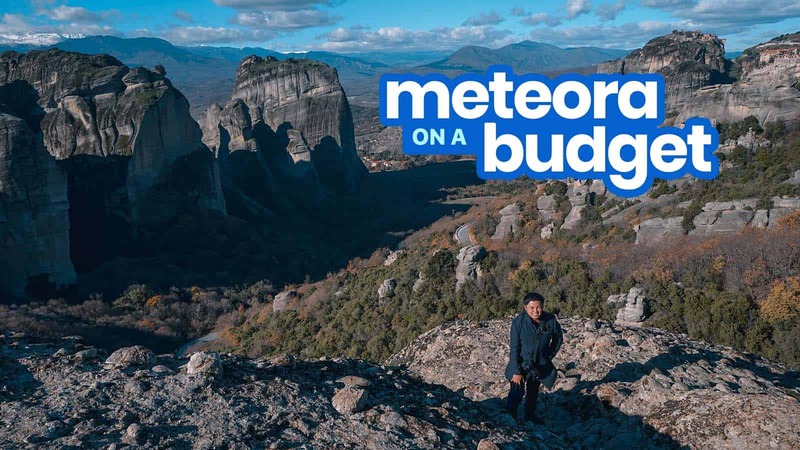 If you’re exploring Meteora DIY-style and on foot, Meteora is going to be one of the cheapest trips you’ll have in Greece. But if you’re joining guided tours, prepare to shell out around €100 for the tour fees, entrance fees, and gratuities. When it comes to crimes, yes, Kalambaka and Meteora are very safe generally. But as in other places, follow the rules and don’t leave your things unattended. If you’re not physically fit, don’t join some of the hiking tours, especially the Great Saint Scramble. It is a physically demanding activity. Because of the rugged terrain and lofty cliffs, there’s always danger especially when it rains, so be extra careful. Don’t go too close to the edge. Wear shoes that have a good grip. It is possible to explore Meteora on your own. As mentioned, from mid-March/April to November, there are buses that can take you to the monasteries. It is also accessible if you just hike. However, having a guide will make you have a better understanding of the history and significance of the place. If you’re hiking, the trail isn’t always well marked, so a guide can be a great help. Knees and shoulders must be covered. Men need to wear long pants (trousers) that cover the knees. Women must wear skirts that cover the knees. There are wraps and long pants that can be borrowed by the entrance. None. No restaurants or cafes. There are small stalls selling snacks nearby, but that’s about it. It’s best to bring your own water and easy-to-eat food. 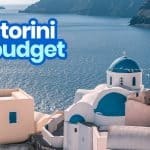 Tipping is NOT mandatory or expected in Santorini. You can just round up the bill. If your bill is €23.5, they usually just pay €25. But if you’re very happy with the service, 10% of the bill should be fine. 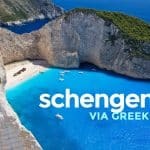 Greece is part of the Schengen Agreement. For short visits, a Schengen Visa is required for most nationalities except for nationals of 62 specified countries which include Singapore, Malaysia, and the United States. If you’re a Philippine passport holder, you will need a Schengen visa. We have a separate post discussing the visa application process in detail. I really appreciate the time and effort writing such an informative content. really worth reading. keep posting.